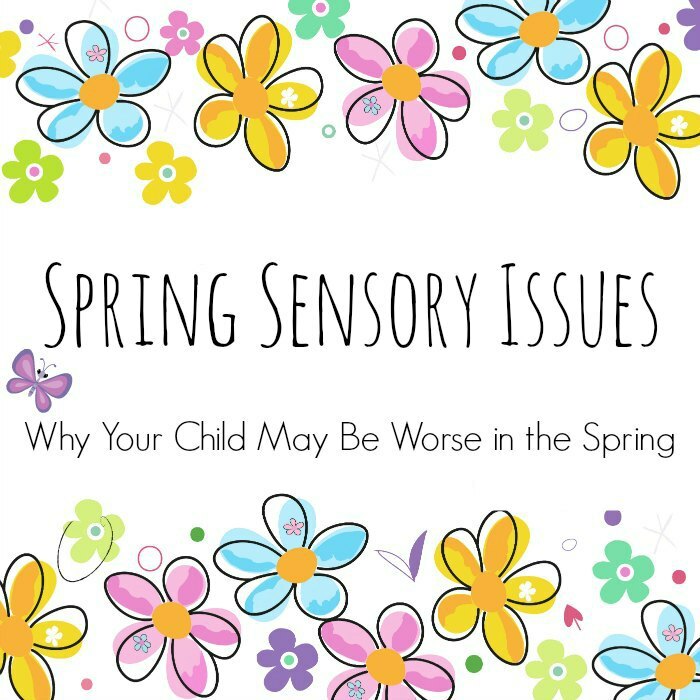 Spring Sensory Issues: Why Worse in the Spring? Every time this year, the Facebook group for The Sensory Spectrum lights up with parents saying their kids just seem to be out of control. They were doing well in school and at home one minute and the next nothing seems to work to keep them calm and centered. What may seem as innocent to you can really throw a child off — particularly one who is sensitive to the environment around him. Think of your child’s energy as a bucket. When there aren’t additional outside influences, your child does a better job of managing his sensory challenges. But when that energy is sapped trying to address additional outside influences and changes, the bucket becomes empty that much more quickly. People who don’t have them often think they are a minor inconvenience of the sniffles. Even if your child has a mild case of allergies, the changes in his body could be enough to throw him off. Allergies can make you tired, spacey and grumpy. They can make your eyes itch and sting, your skin feel like it’s crawling and your body think it’s at full blown war with an invader. Now throw in a child who’s hypersensitive to sensory input. It’s a recipe for disaster. The worse the allergies, the worse the symptoms. My youngest son has dark rings under his eyes, known as allergic shiners. When his allergies flair up, he can revert to head banging. Think about what your child’s coping mechanisms are. 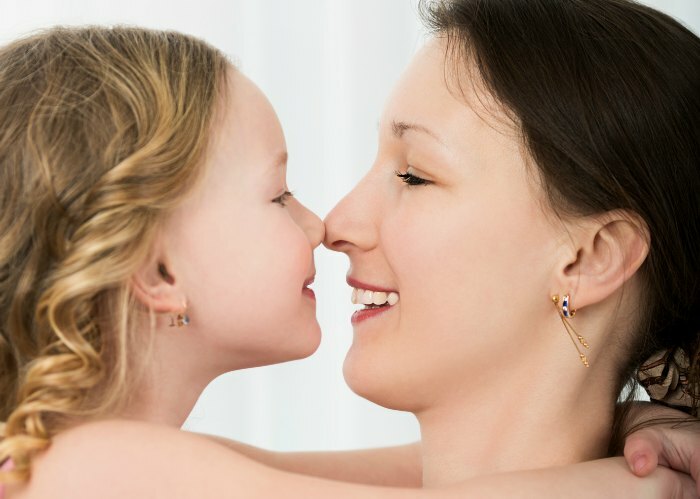 If you see any changes in behavior in your child and the signs of allergies, such as a runny nose, itchy eyes or headaches, these may indicate your child’s allergies are more than you might think. It may be time to go visit an allergist to help ease your child’s symptoms. 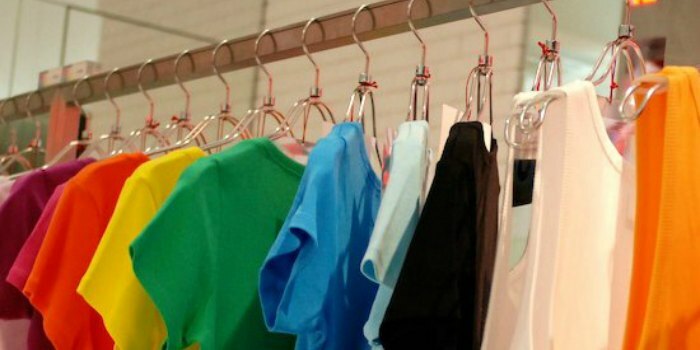 Tags in clothing isn’t the only thing that may set off your tactile-sensitive kiddo. The change of clothing at this time of year brings a host of new sensations. 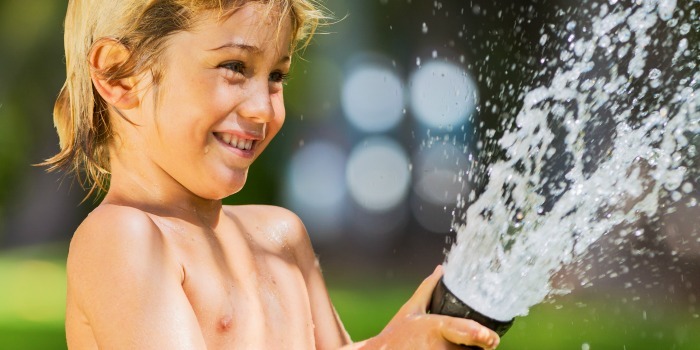 Even though my kids cheer at the thought of shorts and t-shirts, the newly exposed skin can spark up sensory challenges. Crocs Kids (affiliate) and KEENs (affiliate) — absolute favorites in my house — also mean they have to get used to the different sensations of their new shoes and open-aired toes. The change of seasons also means saying goodbye to the beloved shirt your child has worn all winter long. You know the one! Even though it may seem like just a shirt to us, it is a comfort for your kiddo. Ah, Spring weather. The scent of fresh grass and new tree buds in the air. The cleansing rains that wash away the dirty snow and feed the emerging flowers. Don’t you just love Spring? 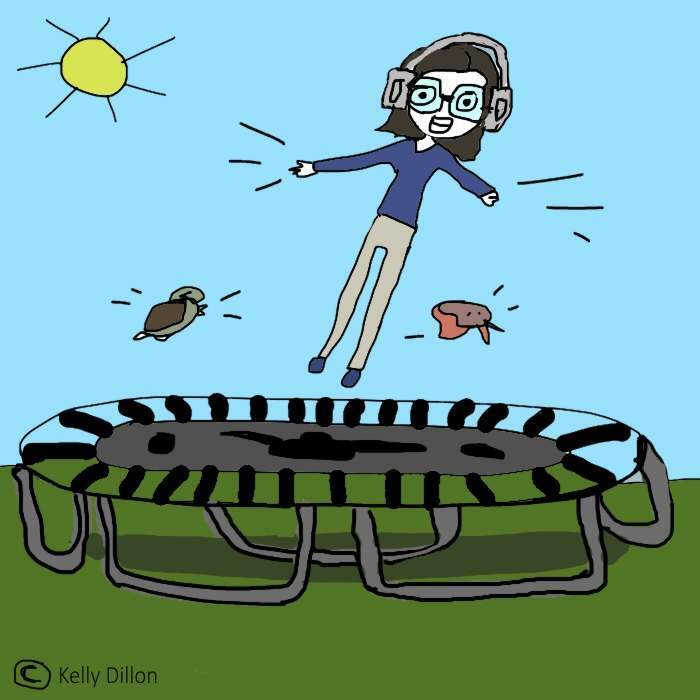 Spring isn’t all daisies for sensory kids. One day we’re wearing winter coats because it’s barely 30 degrees, the next day we’re running around without a jacket at all. And then there are the days we have our rain coats and boots on — what a strange sensation they can be! Spring is disruptive and can make children who thrive on a schedule and predictability feel off kilter. Children absolutely love going on Spring Break — new adventures, exciting sights/foods and even grandparents. But what children love can also tip the scales. Just because something is exciting and fun doesn’t mean it’s stress free. Vacations break us out of our normal routine, which can be upsetting enough for children. Add in the changes of sensory input, from smells to clothing to less sleep, and it can be a recipe for disaster. Keep your routine as much as possible and recognize your child may require more sensory breaks and tricks than she normally would. Our school just did testing to assess where the children are with reading and math. At this time of the school year, it’s not unusual for kids to make a developmental leap. My first son is now reading. My second son is taking an additional math challenges. How exciting but completely scary it must be to take these huge jumps in knowledge. While academic accomplishments are wonderful, they can set off a child. Discuss how this is an exciting learning time but acknowledge it can feel overwhelming. 1. Talk openly about how your child is feeling. 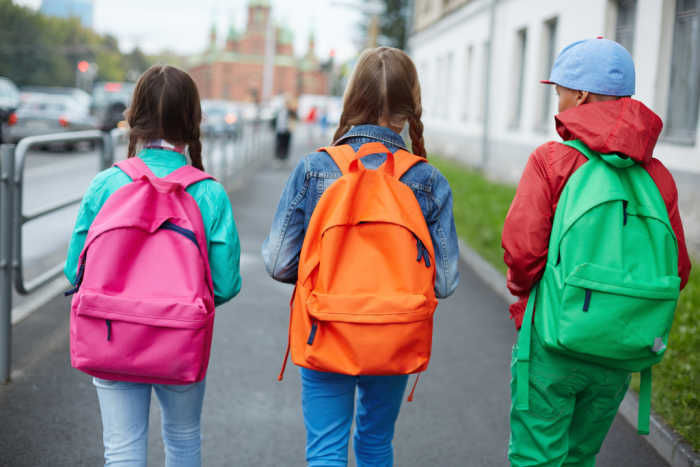 Help them understand that while things like vacations or learning more at school can be exciting, they can also make us feel anxious, which creates a physical reaction in our bodies. Also, if your child has allergies, talk about they can affect our body. And if your child has moderate to severe allergies, check in with your doctor about additional steps you can take to help alleviate the symptoms. 2. Set expectations early on. If you know the weather is going to be changing (and clothing, too), don’t surprise them. Discuss it several days ahead of time so they can prepare themselves. If there’s a change in routine due to vacation, talk about the good and bad of that. Your children will understand and soak up more than you may realize. 3. Make sure your child gets the sensory outlets they need or the ability to reset their senses. If you need to add some tricks temporarily, do it. Just because your child hasn’t needed something before doesn’t mean he couldn’t benefit from it now. It could make all the difference. 4. Understand your kid is not trying to behave badly or be disruptive. 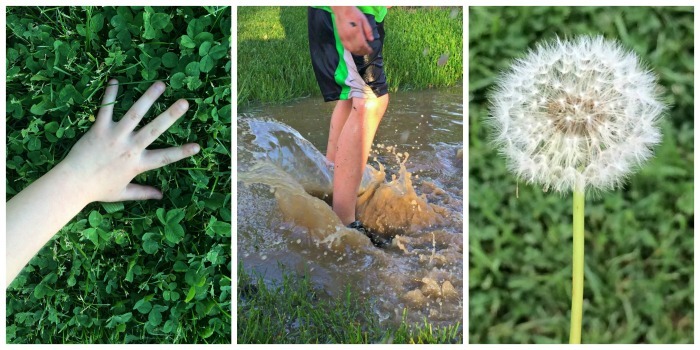 Changes in the seasons bring their own issues that can knock kids off center. Instead, focus on helping your child manage the new sensory sensations and comprehend that these changes (not good or bad) can affect how we feel. But it is up to us how we act on them. Use the tools you’ve been teaching your child (and yourself) and you will make the transition to Spring that much smoother. Absolutely! I think we underestimate how much changes in our environment effect us. Shoot — the cold gray weather in Chicago is enough to set me in a funk. Imagine what it does to our kiddos! I agree with what you are saying. The other thing I notice in my school-aged child is that there’s a TON of testing done in the spring which wipes him out mentally and then the exccess stress comes out emotionally. Absolutely! — the testing brings extra stress on a number of levels. (1) The mental stress of tests in general. (2) Extra time sitting for longer periods of time (3) change in schedule, which a lot of kids don’t do well with. My son doesn’t have SPD but I think the Spring affects him too. Last year and this year, almost to the day, he’s gotten in big trouble at school for doing things that are TOTALLY unlike him. The allergies and a busy soccer schedule can’t be helping either. While chatting with his teacher, she told me that most of the kids go kind of wonky at the end of April. Definitely don’t underestimate how much allergies can effect your kiddo, Herchel. Even on a moderate allergy day for me, I can feel knocked out. The best way I can explain it is think about how you feel when you have the flu — your body is fighting hard against an invader, making you feel awful, tired out, etc. With allergies, your body thinks innocuous things are invaders and begins to fight just as hard, creating the same physical feeling. wow this is so apropos to the week we are having: Unexpected meltdowns of the like we have not seen all year. And in retrospect, last year around this time he had a rough patch too. Thanks for this! You bet! Sometimes it’s the things that don’t seem obvious or intrusive that really set our kids into a tailspin. We are on the opposite end of the sensory spectrum, my son is a sensory seeker, but we also notice regression when seasons change. He does have seasonal allergies and becomes overstimulated by some clothing sensations. Absolutely regression shows up when changes happen. I notice it more with my younger son than my older one.